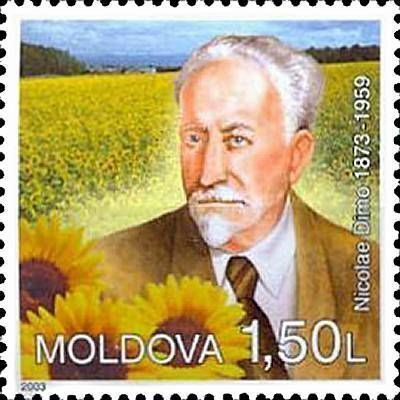 On 14 November 2003, the Post Office of Moldova (Poșta Moldovei) issued a series of postage stamps with the title Eminent Personalities. The issue comprises five stamps, with associated cancellation (postmark) and first day cover (FDC). The designer was Vitaliu Pogolşa. The printing was performed by Cartor Security Printing, France. 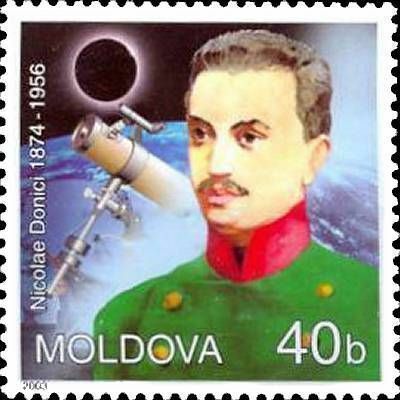 This article uses material from the Wikipedia article 'Nicolae_Donici', which is released under the Creative Commons Attribution-Share-Alike License 3.0. 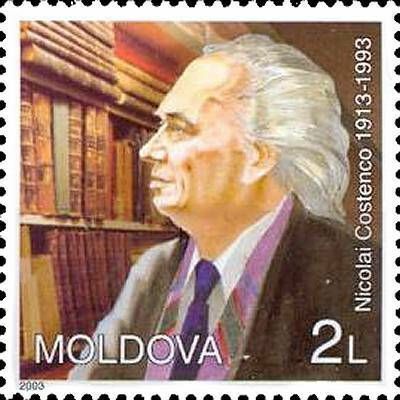 Nicolai Costenco (December 21, 1913, Chişinău - July 29, 1993, Chişinău) was a writer from Moldova. He was managing editor of Viaţa Basarabiei (1934–1940) and was deported to Siberia în 1941. Read more.. This article uses material from the Wikipedia article 'Nicolai_Costenco', which is released under the Creative Commons Attribution-Share-Alike License 3.0. 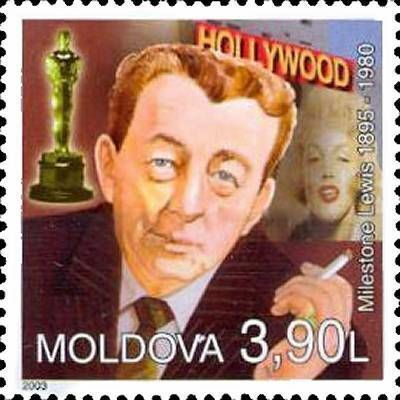 Lewis Milestone (born Leib Milstein) (September 30, 1895 – September 25, 1980) was a Russian-born American motion picture director. He is known for directing Two Arabian Knights (1927) and All Quiet on the Western Front (1930), both of which received Academy Awards for Best Director. He also directed The Front Page (1931 – nomination), The General Died at Dawn (1936), Of Mice and Men (1939), Ocean's 11 (1960), and Mutiny on the Bounty (1962). Read more.. This article uses material from the Wikipedia article 'Lewis_Milestone', which is released under the Creative Commons Attribution-Share-Alike License 3.0. Vincent Willem van Gogh (Dutch: [ˈvɪnsɛnt ˈʋɪləɱ vɑŋ ˈɣɔχ] 30 March 1853 – 29 July 1890) was a post-Impressionist painter of Dutch origin whose work, notable for its rough beauty, emotional honesty and bold color, had a far-reaching influence on 20th-century art. After years of painful anxiety and frequent bouts of mental illness, he died aged 37 from a gunshot wound, generally accepted to be self-inflicted (although no gun was ever found). His work was then known to only a handful of people and appreciated by fewer still. Read more.. 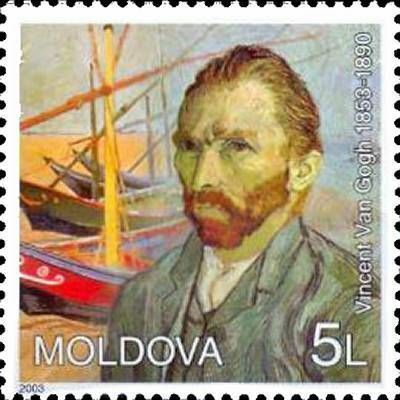 This article uses material from the Wikipedia article 'Vincent_van_Gogh', which is released under the Creative Commons Attribution-Share-Alike License 3.0.